It is hard to stand alone on a dark corner where you know a homicide has taken place. I parked the car next to an abandoned house and dragged my tripod and camera out. I set up on the corner, beneath a street light. I had been to the site earlier in the day, when it was light, and a man who lived a few houses away came out to ask what I was doing. I explained that I am photographing the sites of the unsolved homicides from 2017, taken as near the time of the crime as possible, and asked if he remembered the night of Jan. 8, when Mashon Jackson was shot near here, the first homicide of the year. He pointed me further down the block, to the intersection of 33rd and MLK. 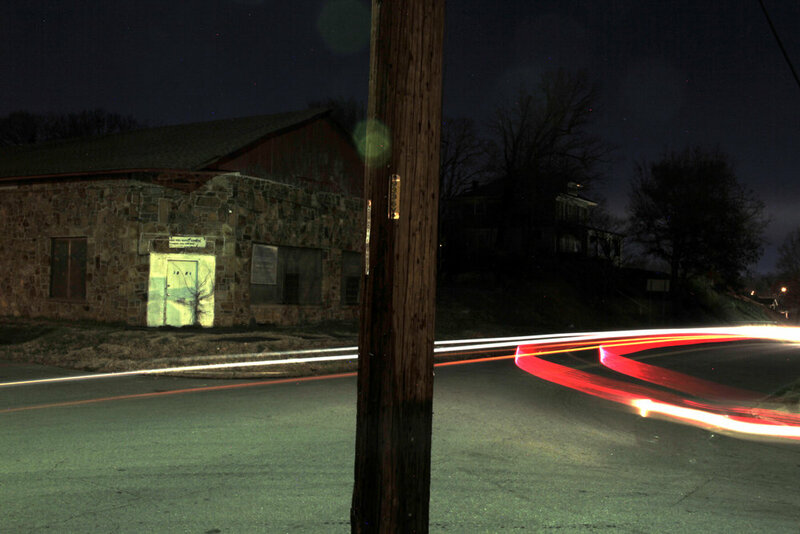 Which is why I found myself standing on the corner at night, watching cars pull up to the intersection, pause to stare at the man with a camera, and then pull away while I struggled to hold my shutter open for the two-plus minutes needed for the exposure. I stayed there a good 10 minutes, making five different exposures, none of which I managed to hold long enough for a good image. Of the 55* homicides committed in Little Rock in 2017, 27 of them remain unsolved, according to the latest data from the Little Rock Police Department. And Mashon Jackson's is not the only one in this immediate neighborhood. I drove a few blocks over to 3300 Wolfe Street, where, on Feb. 12, 2017, Troy Langston was found around 11 p.m. in the driver's seat of a Ford Taurus that was parked in the yard. * This number comes from the official list of homicides obtain through a FOIA request. Some of these crimes have either been ruled justified or, in the case of two, may appear in the 2018 stats since the victim was shot in late 2017 but didn't die until early 2018.